The disciples thought Jesus had lost it. A multitude of people pressed in, and He wanted to identify just one! But Jesus stood his ground – someone had touched him. Eventually the woman trembled forward with a confession. 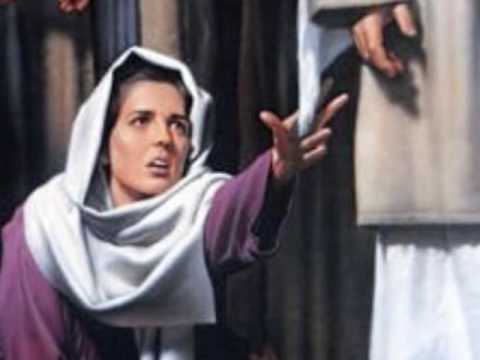 How had Jesus singled her out? Jesus could tell that most of the people were just hoping to get something from him. But this woman didn’t just want something – she needed everything. Doctors had drained her resources. The bleeding condemned her to permanent uncleanness. Family and friends had to keep away. She couldn’t enter the temple, the center of social and religious life…not just for a short time, but ever. Worse still, she was alone in her trouble – even lepers had their colonies. Jesus was her final and only hope. So she touched him. And he knew it. Read Matthew 7:21-23 and Matthew 15:1-16 for Jesus’ words to superficial followers. Do you have a personal relationship with Jesus? How can you tell whether you’ve committed your heart to him or if you are still on the sidelines of a crowd?